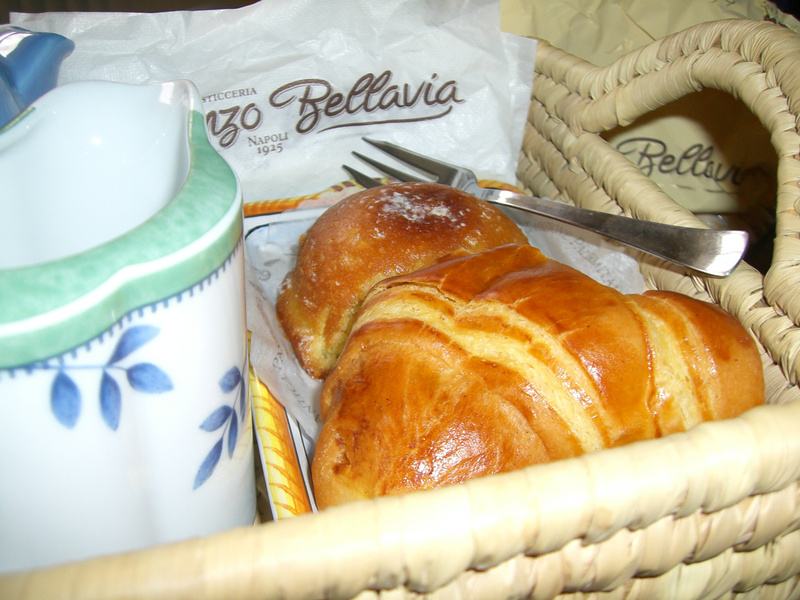 This is the breakfast treat I bought in Napoli, at Vincenzo Bellavia's cafe - and of course it is a Sfogliatella, filled with delightfully light vanilla cream. There is also anoher sweet lemon pastry behind. By the way, Vincenzo Bellavia also has a small cafe at Napoli's Capodichino airport, so before you leave, you might try one of the typical Neapolitan pastries and sweets, accompanied by a caffé alla napoletana ... you will be surprised.